I’ve tried to run an inventory collection against a VMware vCloud Director Computer Resources at vCAC, or should I say vRealize Automation, but every single try consistently returned with a failed status. Because of that, when I tried to create a Reservation, the resources available on that Org vDC were not showing up. I started looking at my endpoint and credentials configuration, both were fine, in fact Computer Resources backed by others Org vDCs were running just fine, which made me belive it was something with that specific Org vDC. 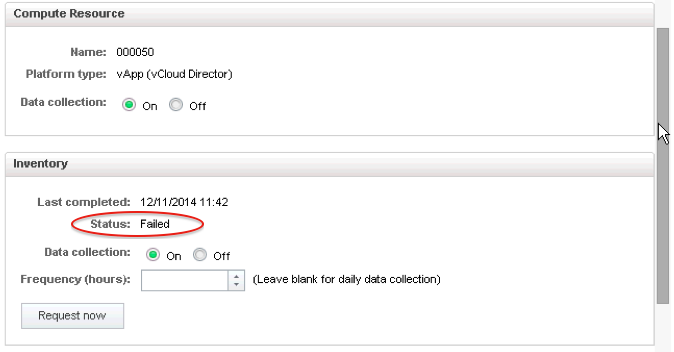 Since vRA does not provide enough information on the inventory screen, I had to take a look at the log directly. 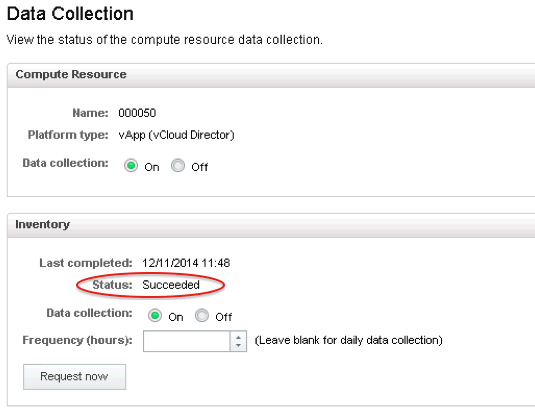 Logs about vCloud Director’s inventory collections can be found on the DEM Worker component. VMware has this nice KB2074803 about the logs location. The log clearly stated that it was failing because there was no network configured on the Org vDC. Once I created an Org Network on the Org vDC, the inventory collection ran successfully. I pretty sure you guys that are smarter than me can come up with a lot of use cases for a Org vDC without network connectivity, but to be honest right now it seems more a bug than a requirement.